Boynton, Ernest; Hastings, Arthur; Holmes, Sugden; Mitchell, George. Midgley, Harry; Newman, Arthur; Ogden, Herbert; Smith, John. 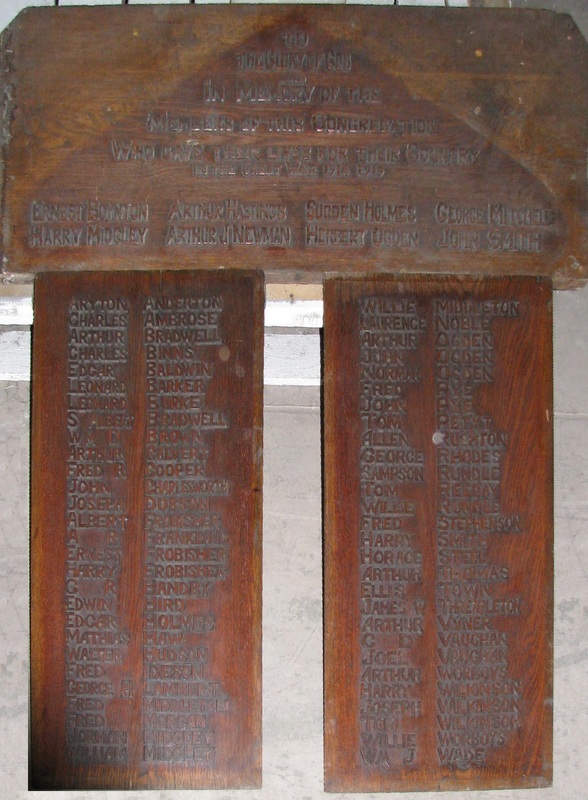 Wooden boards with raised wooden lettering: One board with eight names of those who died. 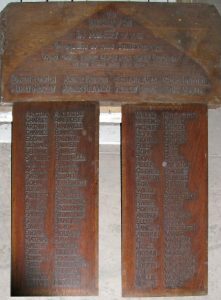 Two separate name panels for fifty five names of those who served and returned. Newspaper report in the Keighley News, dated 9th September 1994.